Not too long ago I managed to lose my rotary cutter. I looked under the fabric, in the pattern pile, on the ironing board, and anywhere else that I could think of that the rotary cutter might hide out! It was not to be found. It was indeed another victim of my poor organization. Further proof of this poor organization is the countless spools of white and black thread that I have, the multiple seam rippers, and yes, even more than one rotary cutter. In an effort to get ideas on how to keep the small stuff under control, I sought help and advice from the members of our HandmadeMN ETSY Street Team. The first thing I wanted to know was what were the kinds of things that needed to be kept organized for the crafter/artist to be able to effectively create. The list of items was long and varied: small glass bottles filled with expensive essential oils, thread, needles, pins, buttons, buckles, grommets, sundries, crochet hooks, small table clamps, fly tying bobbins, feathers, paper, paint, stickers, tools, glues, brushes, office and mailing supplies, nails, and snaps! Whew! Makes you dizzy just thinking about all of these small things that we need! And I'm certain this list is simply a representation of a much larger list of the small stuff! Now, how do we organize the small stuff? Andrea of Sacred Suds organizes her essential oils alphabetically in an antique piece of furniture given to her by her mother-in-law. Oh what I could do with a find like this! Maggie of BodiceGoddess organizes her thread by color, her feathers by type, and sharp, pointy things (a.k.a pins and needles) in lozenge tins and small containers. Crochet hooks and accouterments are in a single bin. Maggie admits that her current system is "Chaos. Pure, unadulterated chaos." She has Snapware containers, built-in storage, plastic bags, and tackle boxes that are all undergoing a reorganization in her workspace. Good luck Maggie! Jodee of Palettepassion describes organizing as an "evolving process." 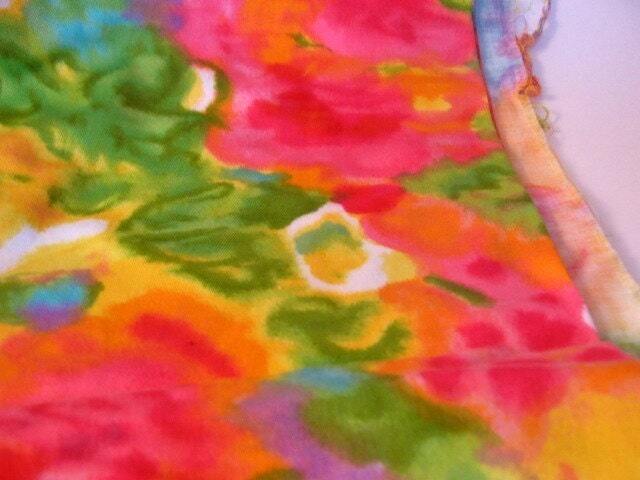 Her paints are organized by color and her silks by type and size. She writes the name of each paint on the cap for additional ease in identifying. A 10 drawer scrapbooking/stamping rolling cart is now her paint organization system and a closet rod shoe holder keeps her silks organized. Empty paint bottles are cleaned and recycled into containers for push pins, silk clips, sponges, salts, and other small items. XOHandworks has this awesome media cabinet from Pier One. It is right next to her work table, has the components for her most popular items, and closes up nicely at the end of the day! 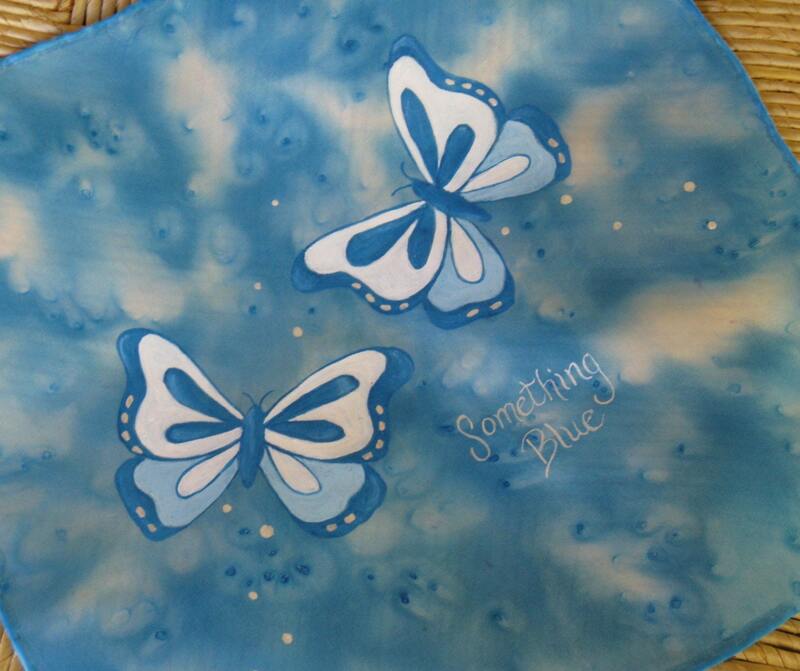 Natalie of JuJuBeesBoutique organizes her scrapbooking supplies by color and theme. Her tools reside in 2 Pampered Chef tool spinners (these are awesome, I can attest to that! ), her paper resides in white paper cubes, and her stickers and embellishments are organized with the "Clip-It System." Ikea bars and hanging baskets round out her organization system. Theresa of EgretEffects has many, many containers for her small supplies and hardware that could easily fall through the cracks. One of her favorites is a spice rack that outlived its useful life of holding spices and was transformed into an efficient organization system for many odds and ends. And lastly, Meredith Dillman uses zip lock bags to organize her paint tubes by color range! 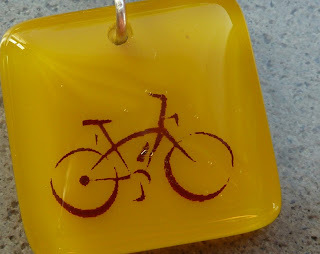 Today's tasty recipe is from Michelle of Gotthold Glass Studio. Michelle said the recipe came from a freezer cooking coop she joined when she first moved to Minnesota. Michelle says, "This was the first time I used my crock pot and really liked the results and now the recipe is a family favorite". 1. Place roast in slow cooker. Add water, soy sauce, and seasonings. 2. Cover. Cook on high 5-6 hours or until beef is tender. 3. Remove roast to cutting board and shred with 2 forks, discarding fat. 4. Place shredded meat back into broth, and keep warm until ready to serve. 5. Serve meat on toasted rolls, with small bowls of strained broth for dipping. And don't forget to pick up all your hot dishes with these "oh so soft" chenille back potholders from Rita's Creations! 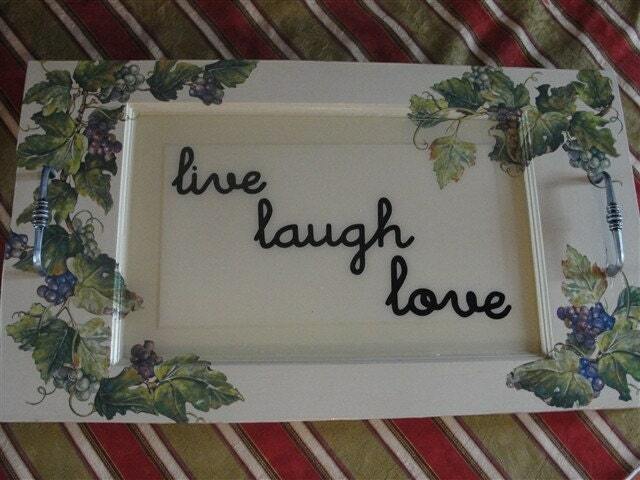 Today we bring you this great repurposed wooden tray from Thia of Scrap Savvi! This wooden tray used to be a door that was acquired from a reuse center. With a little creativity and some paint it now has a new life and a new purpose. This sturdy tray measures 24"L X 13.5"W X 1.5"H and weighs about 6 pounds. The center of the tray has a pour-on finish (used to water-proof bar tops) that was used to even out the beveled edges and provide a heat-resistant, water-proof place to set your items. 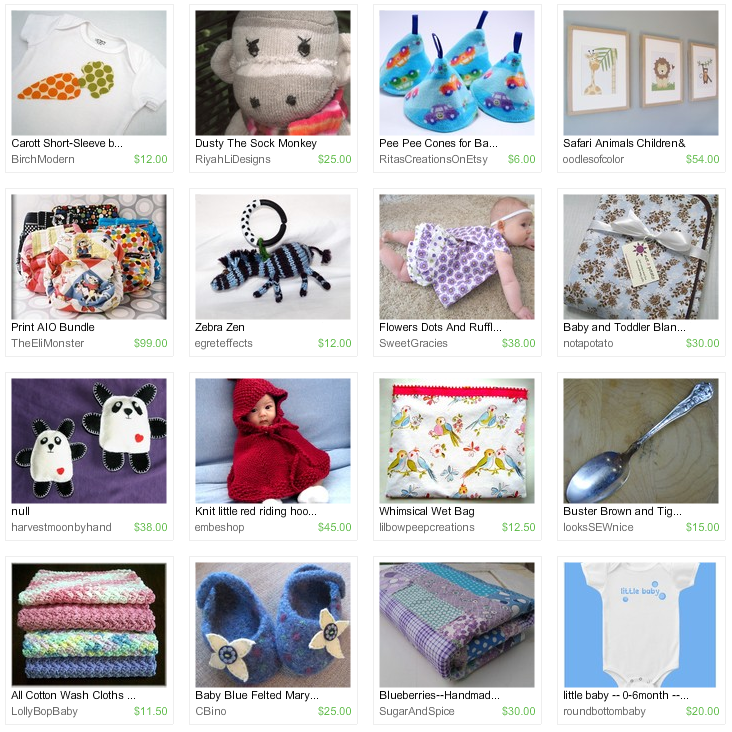 Visit Thia's shop, pick your favorite item and leave a comment on this post about it. Contest ends Saturday, July 10, at 12:00 noon Central. One winner will be chosen by Random.org. Being a studio potter and making functional pottery can sometimes get a little repetitive. Not like production pottery where you often spend a week making only bowls or mugs. But always making functional, usable things does limit your creativity sometimes. 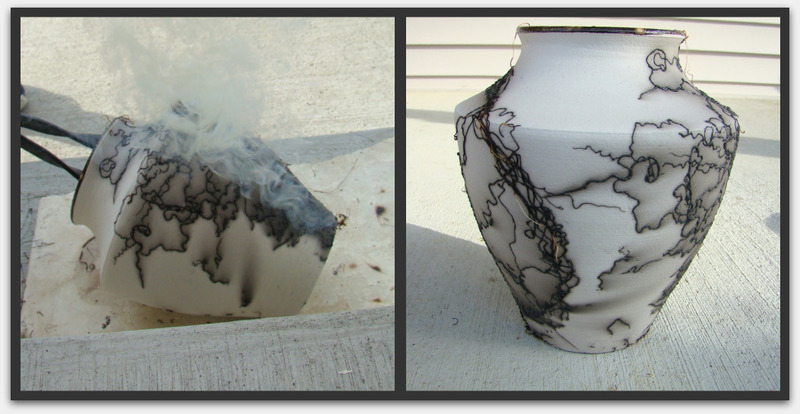 When I start feeling the need for something a little more creative Raku is my answer. 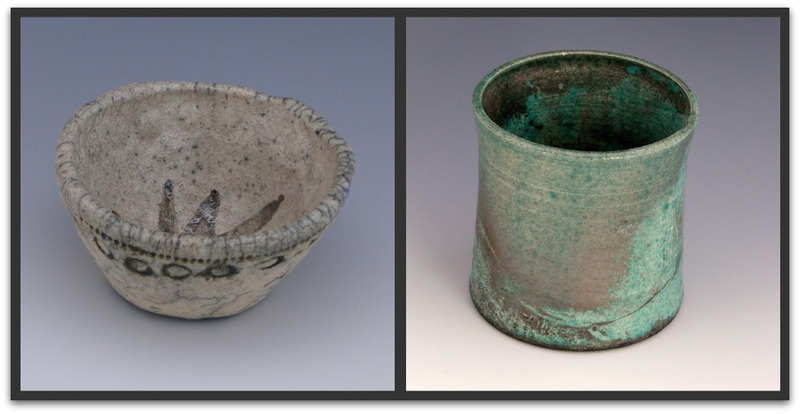 Raku is a primitive firing process where pieces are heated in a kiln to around 1600 degrees. At top heat the piece is removed from the kiln and using tongs, placed in a container of combustibles. When the red hot pot is placed in the combustibles flames, ashes and smoke roll out like a volcano. It's very dramatic. A lid is placed on the container causing an oxygen deprived atmosphere. The bare areas of clay absorbs the carbon from the air making them gray or black and the glazed areas undergo amazing transformations creating crackled or metallic surfaces that can be accomplished in no other way. Most recently I've been doing a Raku technique known as Horsehair Raku. Instead of being placed in a container of combustibles, red hot pieces are draped with strands of horsehair. 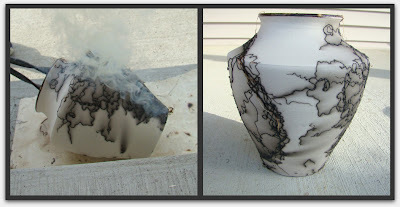 The horsehair singes, dancing on the hot surface, leaving curly, striking trails of black carbon on the white clay body. A day of Raku brings some drama to the creative process, effectively erasing any of those repetitive feelings and renewing my pleasure in creating again. Of course it also earns me statements from my neighbors like "I thought the crazy pottery lady finally burned down her house". I remember clay. I made little pinch pots in grade school and Girl Scouts. I once even made a clay bear in junior high school art class. That is the extent of my clay working experience. However, I marvel at those who can turn a blob of nothing into beautiful and useful pieces of art. Ever heard of a stopperless salt shaker? Not only is it stopperless, it has no holes! And yet it is still utilitarian. I never heard of such a thing until I visited Dovecote Design. What an interesting concept, and what a beautiful accessory for the table. Now that spring has arrived and the flowers are in bloom, who doesn't need a little vessel in which to put the gatherings from the garden? 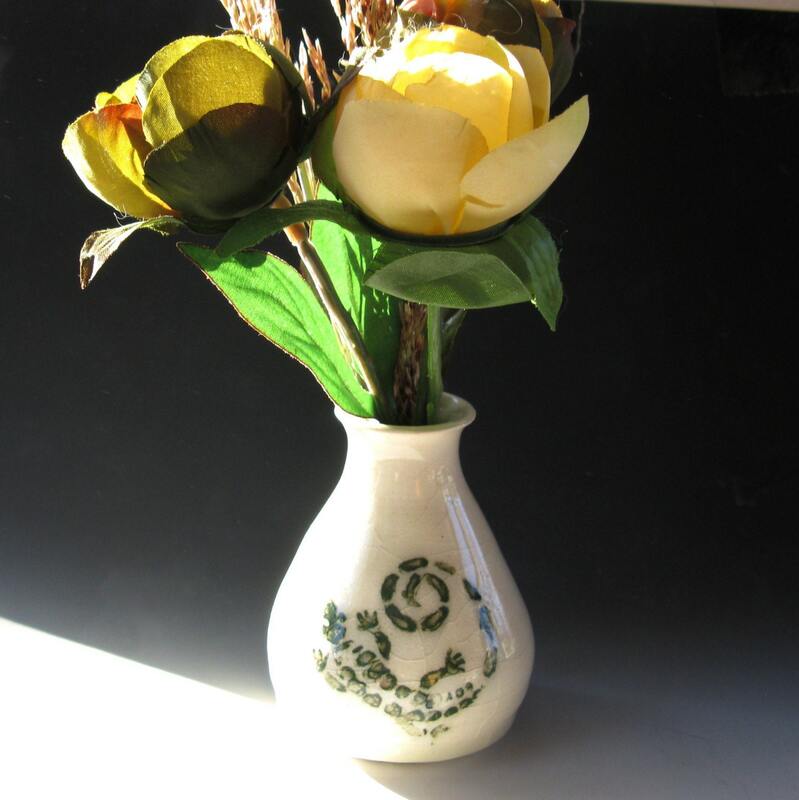 I love this shapely little bud vase. 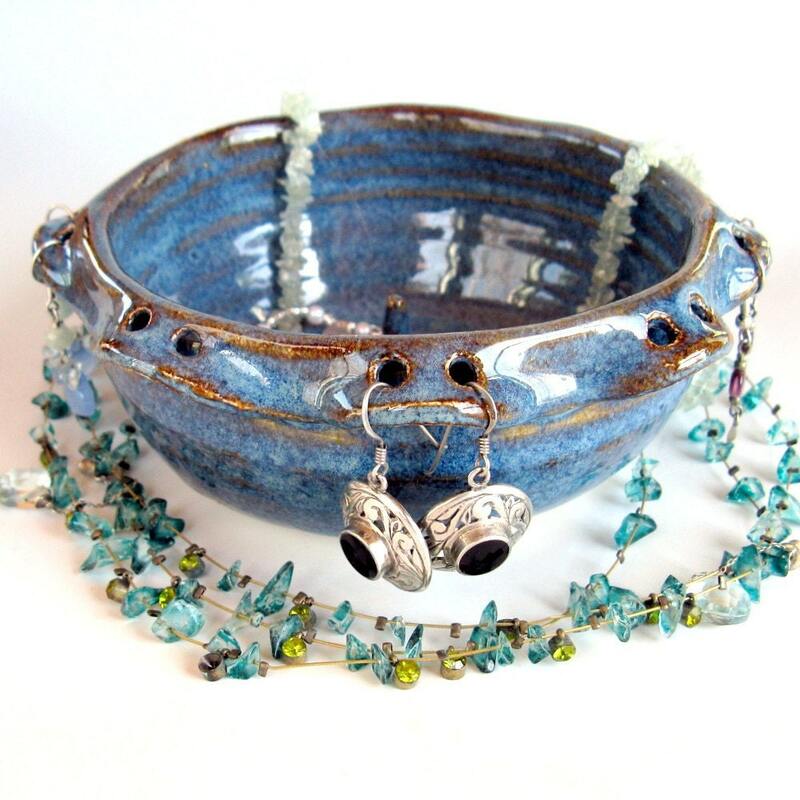 How about this pretty jewelry bowl? It would look so lovely on a bedside table and serve the necessary purpose of organizing and displaying some of your frequently-worn jewelry pieces. 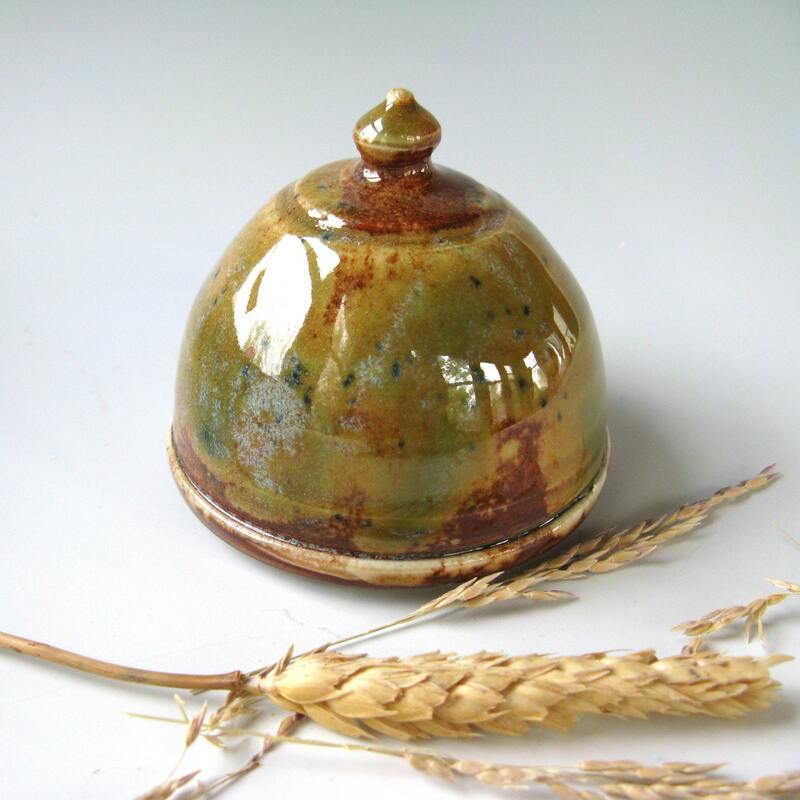 Marsha has got your stoneware needs covered at her beautifully presented Etsy shop, Dovecote Design. 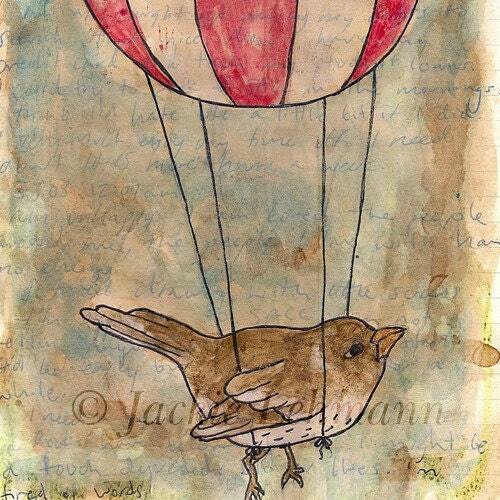 Lovely and useful art for yourself or as a gift. 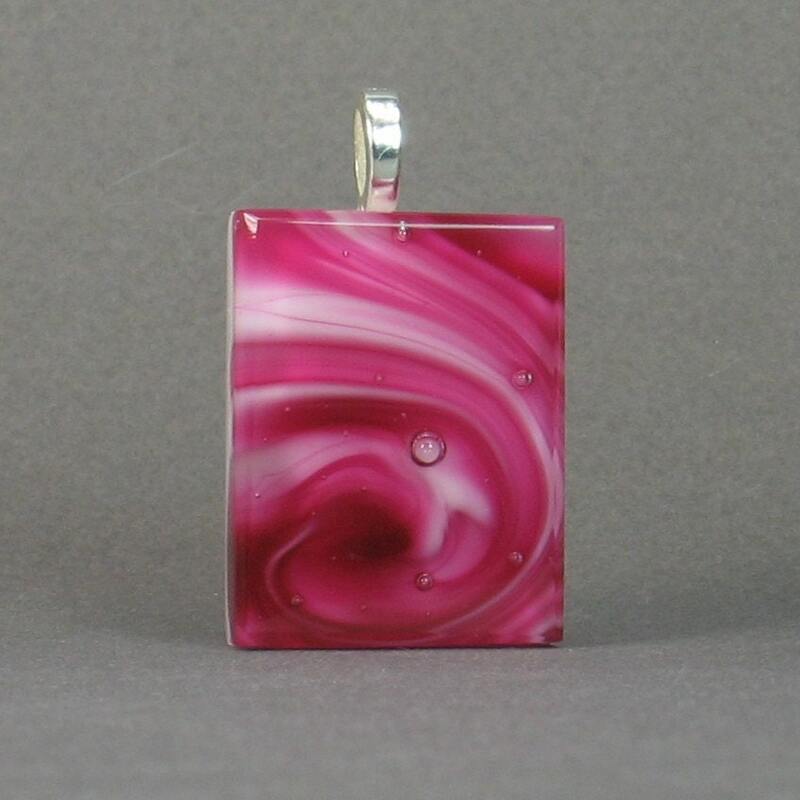 This week's giveaway is from Jodi of pinswithfury. Jodi is giving away this fun tote bag. 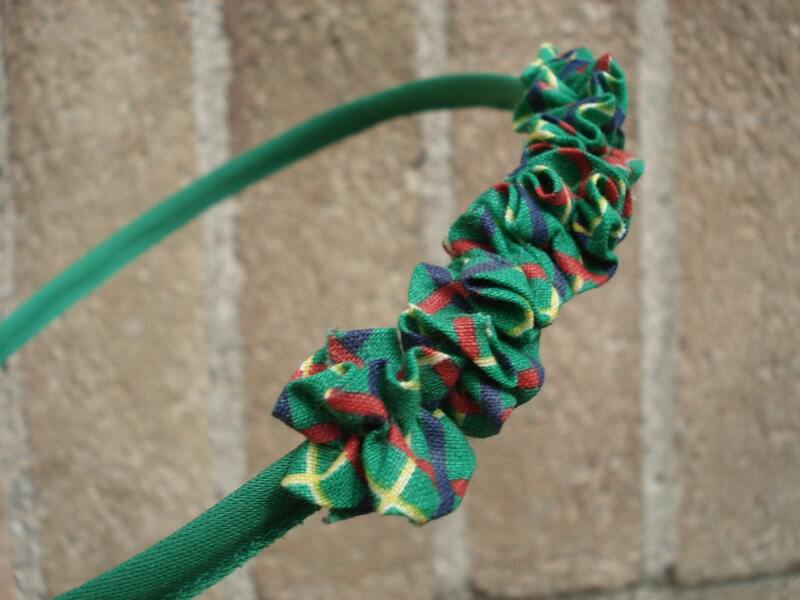 Jodi describes her shop as fabric accessories for the color-obsessed, and it shows in this bright, multi-colored bag. 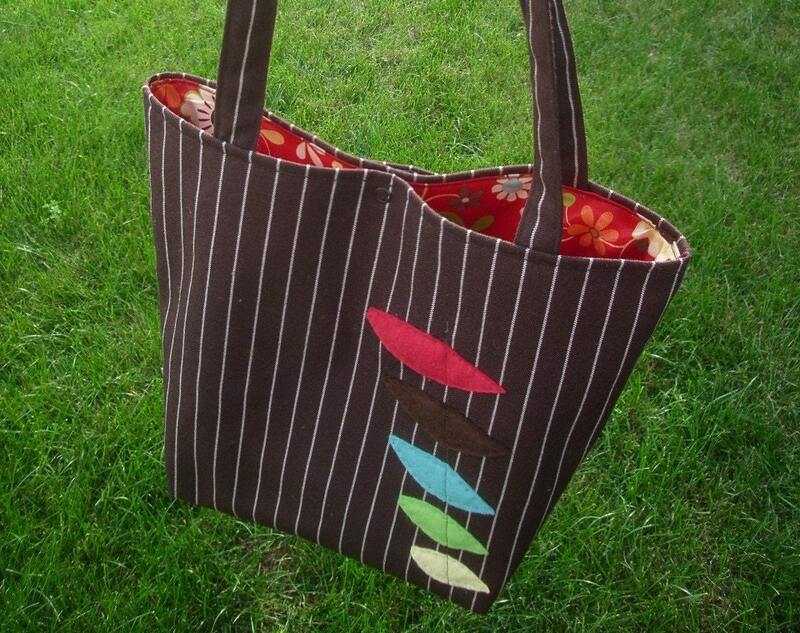 This tote is made of chocolate brown pinstripe upholstery and decorated with a hand sewn wool felt applique that echoes the warm colors of the floral cotton lining. 6. Follow Jodi on Twitter. Comment back here with your Twitter link. Existing followers just leave your Twitter link here. 8. Become a Facebook Fan of pinswithfury. Comment back here with your Facebook name. Existing fans just leave your Facebook name here. 9. Follow the pinswithfury blog. Leave a comment here letting us know you are a follower. If you are already a follower, leave a comment anyway, as each comment is an entry. Contest ends Saturday, July 3, at 12:00 noon Central. One winner will be chosen by Random.org. 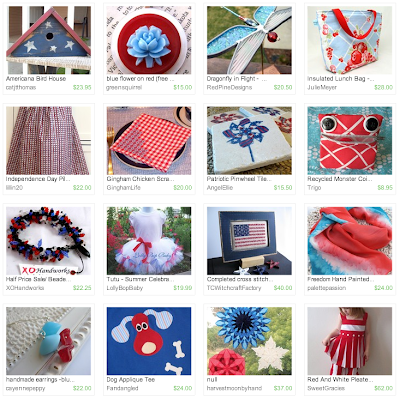 Congratulations to Mary of Mary Foster Creative for winning June's HandmadeMN monthly challenge! Thanks to all who participated in this month's challenge, and stay tuned for some great "Wild" entries coming soon! What should I bring? Do I have everything? What if I don't get any sales? What if it is so busy...I can't keep up? Well, here's the place to learn about the In's and Out's of attending/selling your wares at a show. Being a newby at the show process, I've already experienced the good and bad. Weather had cut one of my show's short last summer, and it's a good thing we could wrap it up early, since I had no insurance on my items....which brings up another good subject, is insurance for you? Be assured from these artists who have participated in 1 to 1000 show's these DO's will help you in the long run. *DO ensure your items are displayed in an orderly/presentable fashion. It does not have to look like a Nordstrom's display. *DO Make the best of your day, if you look bored or disgusted, a possible client will walk away. *DO Bring some of your "in process works" or tools to make a new item. If the show happens to have a slow period, you can work on something new! *DO photo searches on Flickr to get ideas for booth displays and setup. *DON'T make a fuss with show directors/managers, they won't ask you back the next year. 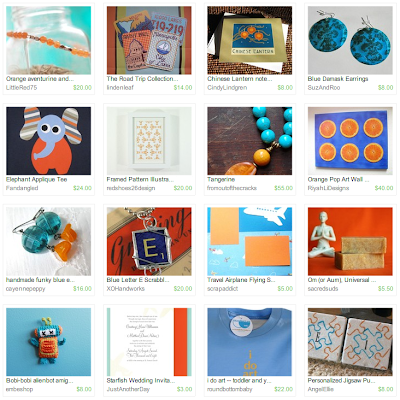 Kelly Barto from KellyBot has a wonderful craft show list on the left side of her blog page. This list has a lot of great items that will help in making for a great show! It will pay off to research each show you plan to attend or apply for. Talk to other crafters about what shows have worked for them in the past. Remember, it's your business, it's a great way to get to talk about yourself! Place the paper on which you’re embossing over a larger scrap of paper. Open your embossing powder and stamp pad. Have your heat tool and stamp at the ready. Apply the watermark ink to your stamp and stamp your paper. By moving the paper to reflect the light, you should be able to see your stamp and confirm that it’s a good one – all parts of the stamp made an impression and there are no extra marks. Watermark ink doesn’t dry as fast as other inks, so while you don’t need to rush, you should sprinkle the embossing powder on as soon as you’ve verified the quality of the stamp. You don’t need much; just a light covering. The embossing powder will stick to anything wet on your paper. Swirl it around gently so that it touches every area of your stamp; you’ll be able to see the message emerging. Once you’re sure the stamp is covered, tap the remaining loose powder onto the larger scrap paper. The powder on your stamp is secure enough to withstand a small breeze, but can still be smeared. Being careful not to touch the stamped area, set your powdered message aside and fold the paper with the loose powder in half so you can dump it back into the powder jar. Before going any further, close your embossing powder jar. Heat tools not only get hot, they blow that hot air onto your project, and it would be pretty maddening if colored powder flew all over your desk/room/carpet – you get the idea. You might as well also eliminate loose papers hanging around. Speaking of which, if the paper you’re embossing on is small (say, smaller than 4x6) it might very well blow away, too. Use a needle-nosed pliers or other such instrument to secure the paper and keep your digits from burning. If you don’t have a heat tool and don’t want to buy one, a hair dryer or toaster can substitute. Whatever you use, it’s a good idea to consider your first embossed stamp as a test. It’s common to see some paper warpage. Of course, if you heat the paper for too long it can get singed and discolored. We are dealing with a flammable product, so be careful! That said, embossing is not hard. Just hold your heat tool about two or three inches up and directly over (or under, if using a toaster) the powdered stamp, moving back and forth slightly for about five to ten seconds. 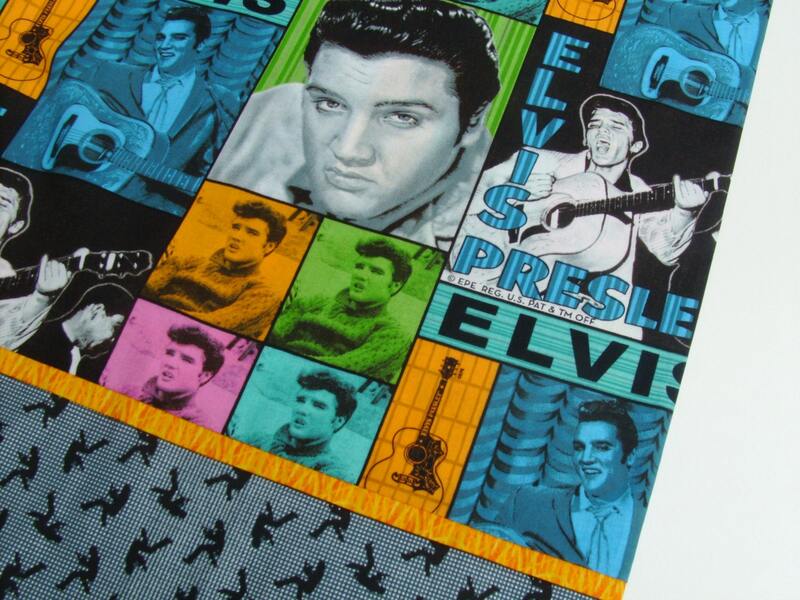 Embossing powder is basically tiny beads of plastic that, under the heat, melt together and grip the paper fibers. You’ll be able to see it happen right before your eyes! It only takes a few moments for the paper and newly-melted powder to cool; don’t touch it while still hot or you can smear the embossing (plus, no one wants melted plastic on their skin). Once cool, however, you have a durable, lovely embellishment to add texture to whatever special project you can come up with! Embossing powder comes in all kinds of colors. Metalics are especially versatile; they show up nicely on most papers and can be paired with just about any color scheme. Today we bring you this Boxed Set of 8 Four Seasons Note Cards from Mary Foster of Mary Foster Creative. This is a set of eight different images of trees and flowers that Mary grows and photographs. 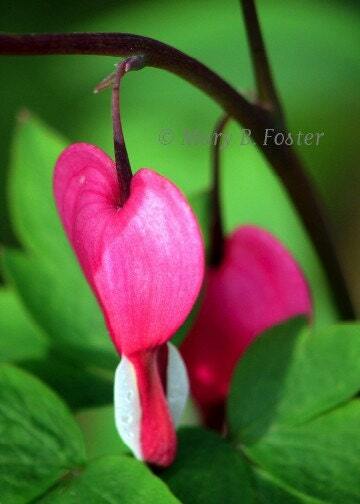 Mary has selected two images for each season of the year: spring-blooming Glory of the Snow and Tarda species tulips, summer-flowering Cosmos and Clematis, the fall foliage of Elm and Oak trees, and winter-frosted roses. The A2 note cards are blank inside for you to write your own messages and are packaged with envelopes in a clear plastic box. They are perfect for thank you notes, last-minute greeting cards, or a small gift. All images © Mary B. Foster. All rights reserved. Visit Mary's shop, pick your favorite item and leave a comment on this post about it. Contest ends Saturday, June 26, at 12:00 noon Central. One winner will be chosen by Random.org. Fun Friday Finds ~ Oh Baby! As online sellers, we are limited to one sense - our sense of sight - for giving buyers a complete five-senses sensory experience. When buyers are browsing online, they cannot feel, smell, taste, or hold an item in their hands to turn it over and look at it from all angles. So it is up to us, the sellers, to create that experience for them using two devices: photographs and item descriptions. 1) What are the first three things that come to mind when you see this? 4) If it were a smell, what would it be? 5) If it were a taste, what would it be? 6) What kind of sound would this make? Thanks, and we can't wait to see what you come up with! 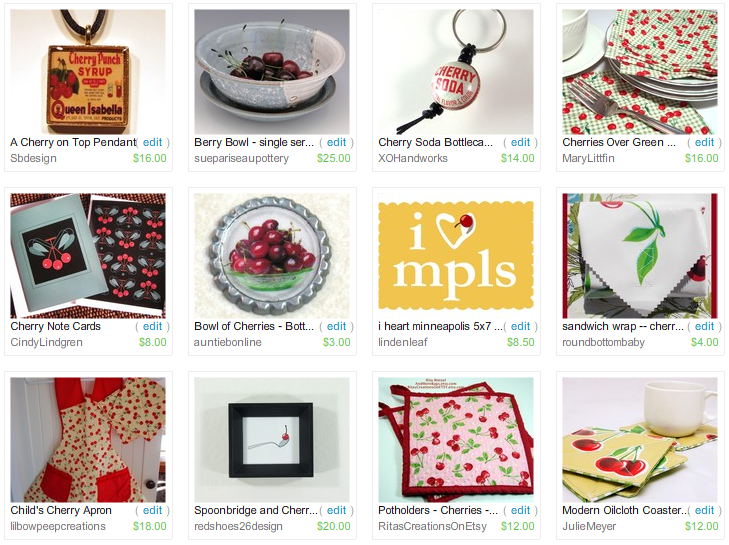 In honor of this great fruit, I chose a few of my favorite cherry items made by HandmadeMN members. Though the cherry is not our state fruit, it is one of Minnesota's favorite icons made popular by the giant Spoonbridge and Cherry sculpture at the Minneapolis Sculpture Garden. 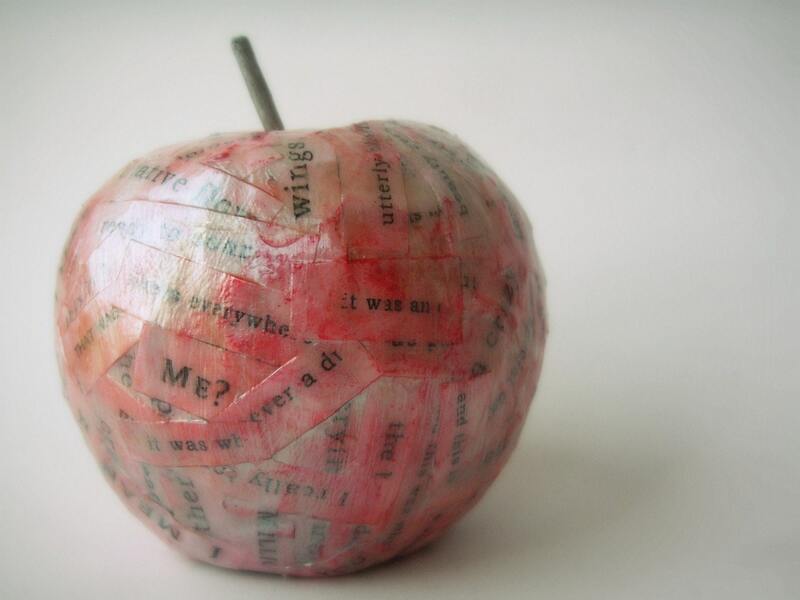 Today we bring you this great Paper Mache Apple Paperweight from Sabrina of Riyah-Li Designs ! This art piece is filled with river rocks for weight and layered with heavy duty scrapbook paper mache. 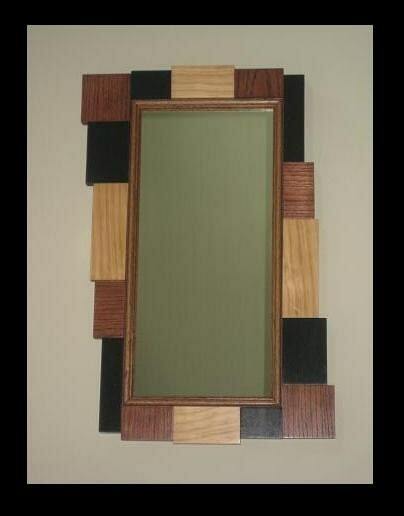 It has been hand painted and then finished with a hard coat acrylic sealer for added durability. The stem has been treated with silver leafing. Measures 5 inches from top of stem to bottom of apple. Visit Sabrina's shop, pick your favorite item and leave a comment on this post about it. 7. Follow Sabrina on Twitter. Comment back here with your Twitter link. Existing followers just leave your Twitter link here. 8. Become Riyah-Li Design's Facebook Fan. Comment back here with your Facebook name. Existing fans just leave your Facebook name here. Contest ends Saturday, June 19, at 12:00 noon Central. One winner will be chosen by Random.org. Every time I gaze at all the beautiful handmade items in the shops at Etsy.com I am blown away by the many gifted and talented people there are all over the world! Their creations are amazing, and seem to only get better and better each day. Just looking at them provides visual delight, heartwarming images, insight, inspiration, and smiles! 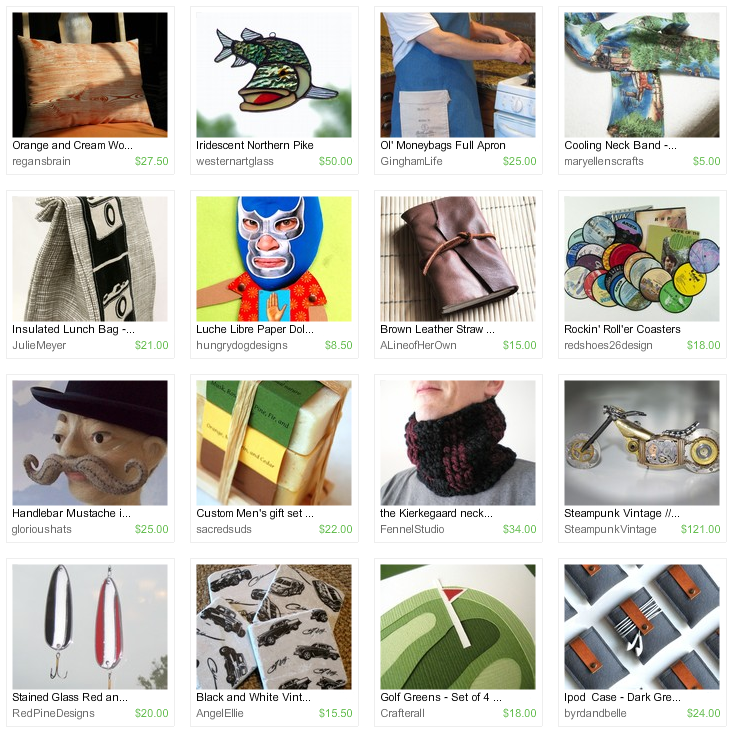 But Etsy is so much more than a visual feast. It’s a global market where you can shop around the world, right from your home. For buyers Etsy provides endless possibilities. For artists, Etsy is an incredible opportunity to reach people around the world that may never be reached through a local brick-and-mortar shop. It’s a match made in heaven! When Etsy first started in 2005 their goal was to connect buyers with artisans and crafts people who make the very best in handmade goods. “Etsy is a community that actively supports one another in the shared goal of offering alternatives to mass-produced objects. We work to highlight the true value of handmade goods and their creators… We created Etsy to reconnect producer and consumer, and swing the pendulum back to a time when we bought our bread from the baker, food from the farmer, and shoes from the cobbler”. HandmadeMN is one of those teams. 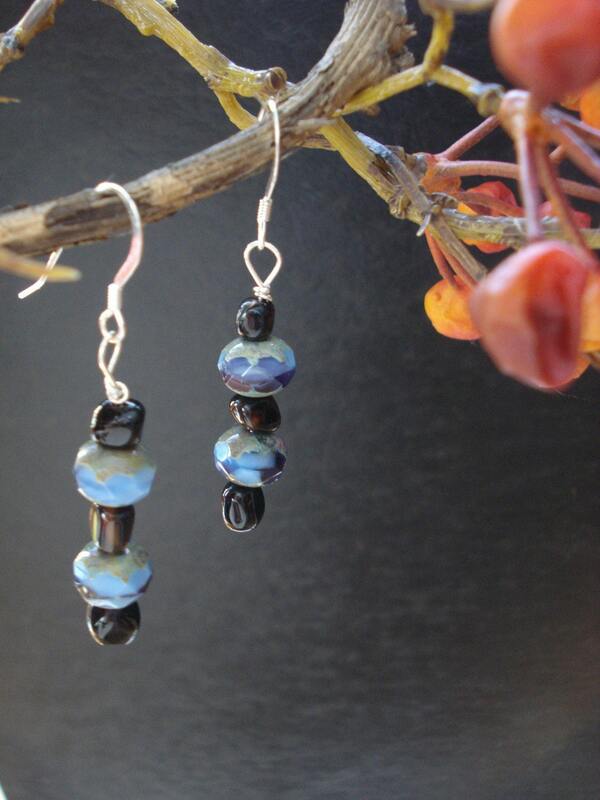 We are located in the greater Minnesota, U.S.A. region and include artisans and crafts people of all different types. We work hard as a team to help one another, build our businesses, better our skills and our crafts, and reach customers. 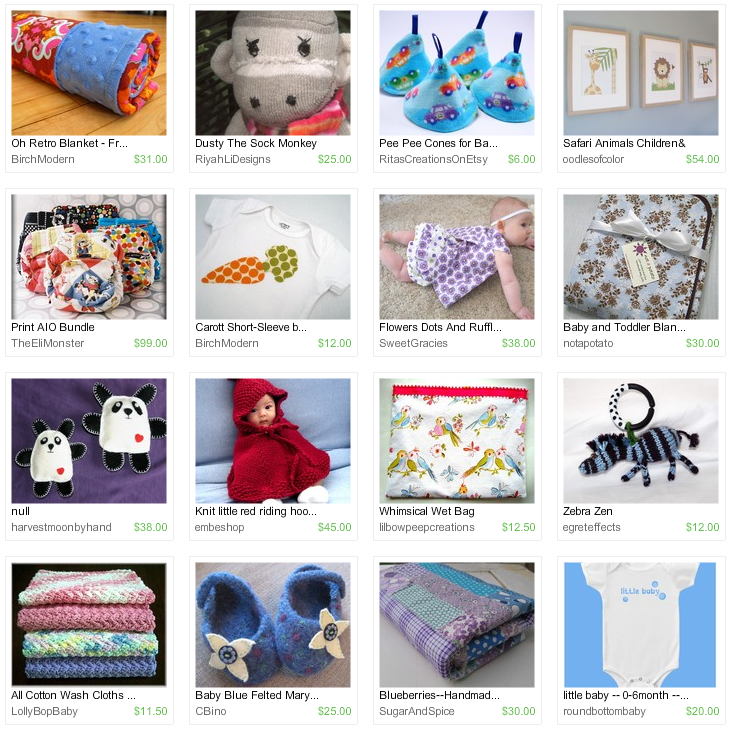 HandmadeMN has been experiencing growth in numbers as well. In the last year alone we have more than doubled! Unfortunately, bigger can sometimes mean less personal. We don’t want that. We want you to feel connected as an Etsy buyer or seller. We’d like you to feel that when you visit us, you’re part of the neighborhood. We’d like you to get to know us. Once you do, we’re sure HandmadeMN will provide you with something special to touch your heart or that of someone you love! Starting today I will be introducing you to the newest members of our team this year. We affectionately call them “newbies”. As more members join, you’ll get a chance to meet them here. Let’s all say “Welcome” to the first newbies on the block of 2010! Cynthia has always enjoyed arts and crafts and has dabbled in many different forms over the years. 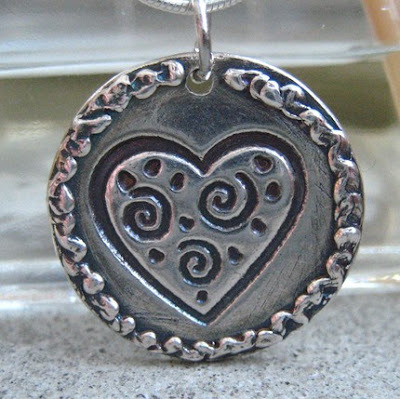 Her creations usually became gifts for friends and family, but she hadn’t taken an active role in selling until she opened her Etsy shop, Bella Vista Studio, in December 2009. She currently enjoys making handmade jewelry in her studio in Cambridge, Minnesota, but she has some new ideas to explore on the horizon. Keep an eye out for new creations from this budding Etsy artist! 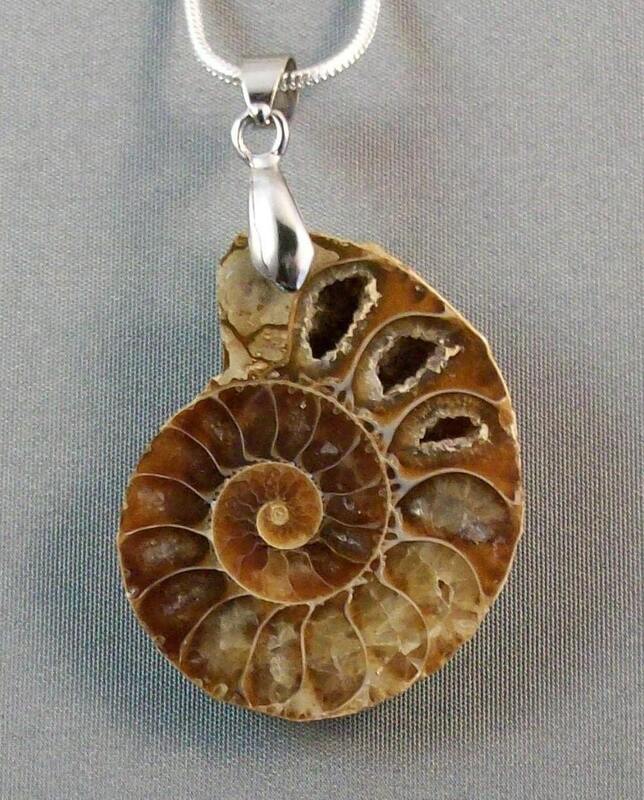 Ivory Moon is a husband and wife team in Princeton, Minnesota, who create beautiful stone and gemstone jewelry! Patrice also creates beaded jewelry, while Geno does all the woodwork, striving to bring out the natural beauty of each type of wood and create something beautiful and useful. They opened their Etsy shop in November 2008. Jessica of St. Paul, Minnesota, is like most of us, she would craft “all day every day” if she could! She likes to knit, sew, make clothing, macramé, play with clay, and “anything else I can get my hands on”. She started her Etsy shop, Come Along Fawn on December 30, 2009, and had her first sale within one week! Way to go Jessica! Kelly of Kelly Hanson Handmade is a crafter living in Minneapolis, Minnesota. A long time knitter, she recently added sewing to her repertoire. 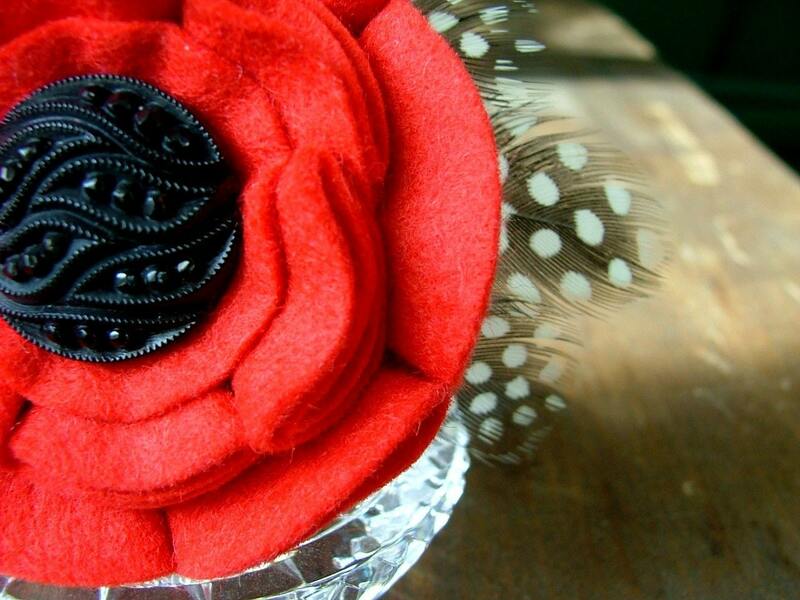 “I love thrift/vintage/antique shopping & looking at tons of fabric & buttons.” She uses her finds to finish beautiful fabric floral accessories. She opened her Etsy shop in October 2009. 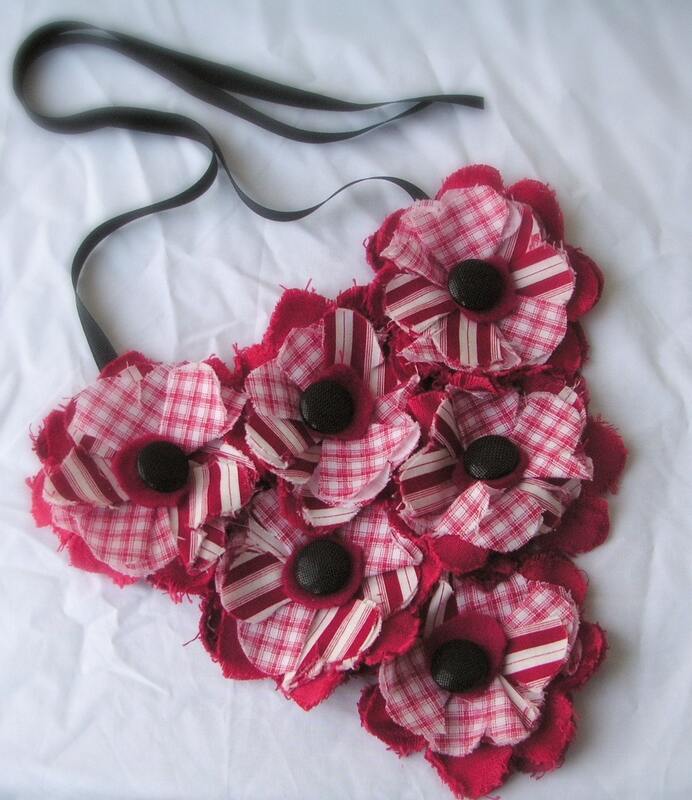 Kat of Faithfully Yours… is a self-declared vintage girl in a modern world! She’s an artist at heart whether it's playing music, reading & writing, creating jewelry or making clothes. 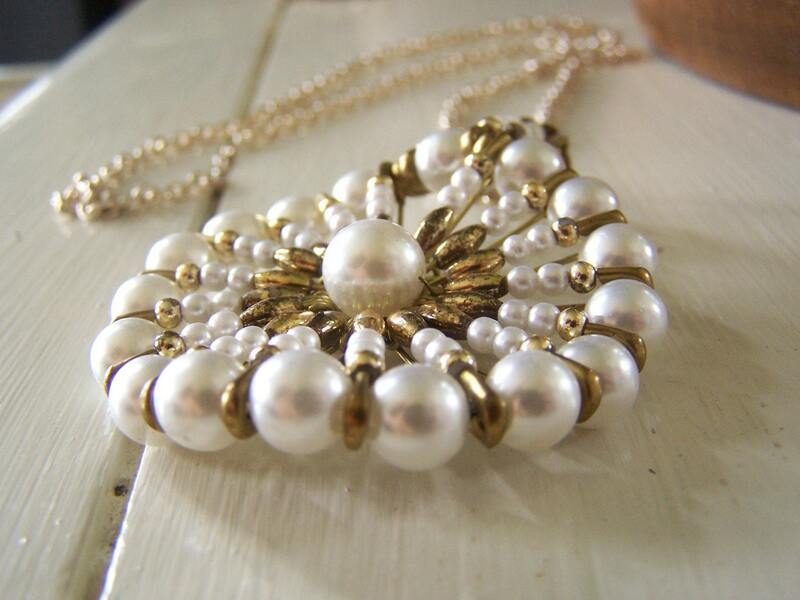 She loves to recreate vintage and antique jewelry into something different and unique, often using broken jewelry from estate sales, garage sales and thrift stores. She also enjoys re-fashioning vintage clothes. Kat lives in Truman, Minnesota, and opened her Etsy shop in August 2008. Jackie Lehmann’s Etsy shop opened in December 2009 and offers a beautiful collection of drawings, paintings and watercolors by this aspiring visual artist and graphic design student based in Minneapolis, Minnesota. In 2008 she completed a 3 month project in which she re-purposed 40 pages of her personal journal to create a new body of work! The Red Goose is another husband and wife team that originally opened their Etsy shop in December 2007 while living in Colbert, Georgia. After a recent move back to Andover,Minnesota, we are proud to have them on our team! Jeff and Carrie make everything from scratch as they have done for 25 years, and every item is an original creation. Carrie works with primitive fabric, and Jeff is a wood artist, making framed mirrors, shelves, bird houses and primitive seasonal items. Another newbie based here in Minneapolis, Minnesota is Dana of la fille facétieuse. She admits she is considered to be a pack-rat by some people, “and by some people, I mean everyone... but I just think that some things might come in handy some day!” She opened her Etsy shop in March 2009 where she sells handmade accessories and apparel made using mostly re-purposed and vintage materials. Zinnia Snip Snap was opened in September 2009 by Marley of Minneapolis, Minnesota, a married mother of 3 who has always loved creating. 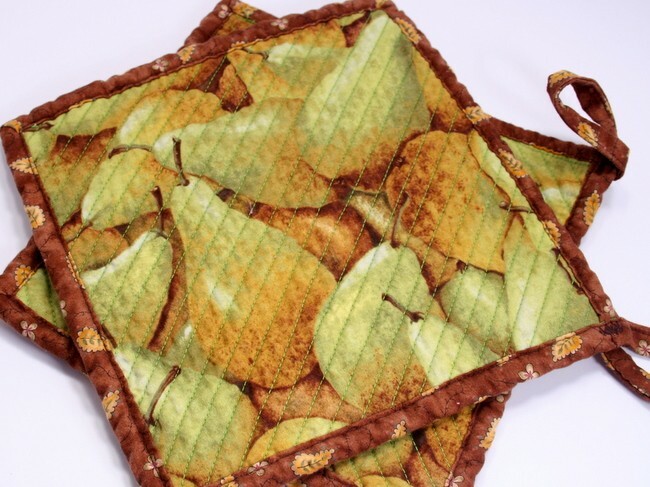 “I always have about 10 projects in the works at the same time!” For the past 8 years she has sold upholstery bags at craft fairs. Her Etsy shop is currently devoted to crafting supplies, but she plans to open a new shop featuring clothing and accessories made from reused, repurposed and vintage items. This month's challenge theme was "True Love". Check out the great entries below, then scroll all the way to the bottom to vote for your favorite! The winner will receive an advertising spot on our blog. Voting ends at midnight on June 17.